We've got one very important update regarding The Mandalorian, with many more on the way next month. The first ever live-action Star Wars TV series is well underway and will be making its way to our living rooms later this year, via Disney+, the company's upcoming streaming service. Jon Favreau (Iron Man, The Jungle Book), is heading up the series and recently shared a very intriguing photo from behind the scenes, just as Lucasfilm confirmed that the series will be getting a panel at Star Wars Celebration in Chicago. Let's start with the photo. Taika Waititi (Thor: Ragnarok) is directing at least one of the episodes of the series. There have been persistent rumors that he's also going to be voicing a character, likely a droid, as well. Thanks to Jon Favreau's latest Instagram post, we not only know that he's voicing a droid, but the droid in question is none other than the bounty hunter IG-88. The photo, with no caption provided, sees Waititi in the sound booth, with a clear image of IG-88 on the screen. We'd have doubts about saying this is for sure the case if this is all we had to go on, but Favreau previously shared another image of IG-88 from set. For those who may not be familiar, IG-88 was first introduced in The Empire Strikes Back, very briefly for mere seconds with zero dialogue, during the sequence when Darth Vader has a group of various Bounty Hunters lined up alongside Boba Fett. He's since appeared in other forms of media, such as the Shadows of the Empire video game for Nintendo 64. The droid is considered to be a brutal killer, which makes Taika Waititi an interesting choice. He voiced Korg in Thor: Ragnarok in a very hilarious performance. Does that mean they're going to make this killer droid a comedic foil? At present, we have more questions than answers, but some of those questions are likely to be answered during Star Wars Celebration next month. 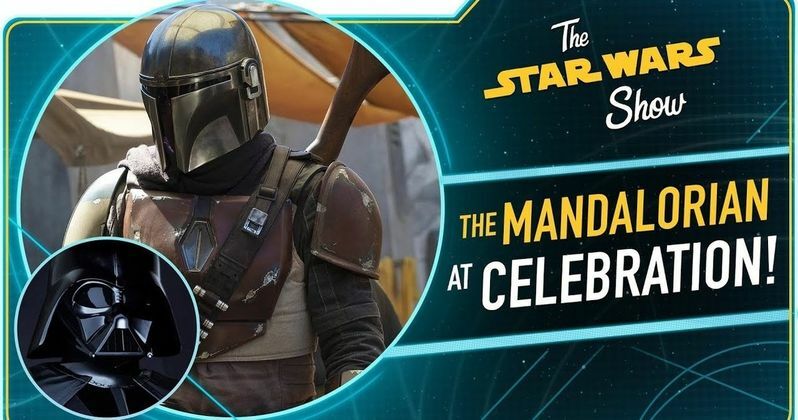 Lucasfilm will hold a panel for The Mandalorian on Sunday, April 14. It isn't clear who will be on hand just yet, but the cast includes Pedro Pascal (Narcos) in the title role, alongside Gina Carano (Deadpool), Carl Weathers (Predator), Giancarlo Esposito (Breaking Bad), Emily Swallow (Supernatural), Omid Abtahi (American Gods), Werner Herzog (Jack Reacher) and Nick Nolte (Warrior). Dave Filoni (Star Wars Rebels), also serves as an executive producer and director, so we'd expect him to be on hand. Lucasfilm is also currently working on a Rogue One prequel series for Disney+. It's unclear at this time if they will divulge any information on that show at the panel. As far as The Mandalorian goes, we should expect some character details, plot details, perhaps a release date and definitely some footage. If we're lucky, they may even show a full episode or two to those on hand so we can get a real sense of what we're in for. Be sure to check out the behind the scenes photo from Jon Favreau's Instagram below.